Concepts: Within 7 business days of receiving your company information and deposit, Hyle Creative will create up to three different logo concepts for your business. Logo designs will be submitted for your review via E-mail unless otherwise negotiated. Upon receipt of your feedback on these designs, Hyle Creative will make any needed changes to your favorite of the three logo designs until you are completely satisfied. Up to three rounds of revisions are included in quoted price. Further revisions will incur additional costs at Hyle’s current hourly rate. File Delivery: After the final logo design is approved, the logo design will be delivered to you as digital files (.jpg, .pdf, and .eps graphics file formats). Ownership: You, the client, have ownership of the final logo design for use in any media application that is beneficial to your business. Hyle Creative retains the right to use the final logo, or any versions of the logo created in the process, within printed and on-line portfolios, including promotional materials such as newsletters and advertisements. The client also gives Hyle Creative permission to use client’s full name, business address, and/or website address, for testimonial purposes on her website, or other business related media. The client understands that it is their responsibility to copyright the logo design (www.copyright.gov) and/or seek trademark status (www.uspto.gov/main/trademarks.htm). Payment: In return for logo design, the client agrees to pay the total fee payable in two (2) payments. A 50% deposit is required before any work begins and 50% before delivering final design. The client understands that the final logo design belongs to Hyle Creative until paid in full. For clarification, the terms should be either all upfront or 50/50. In the event of termination of this Agreement, Hyle Creative owns the logo and has the right to complete, exhibit, and/or sell the logo design (not including business name). Furthermore, Hyle Creative owns all the logo design concepts created before the final logo design. The client understands that once the final invoice is paid in full, the client has the right to use the logo design in all media useful for business promotion and that Hyle Creative reserves the right to display the logo for business promotional use. Originality: Hyle Creative affirms that our logo designs are original and therefore owns the rights granted under this agreement, and that the rights granted do not conflict with any other agreement. Delays: Illness, injury, weather change or other events beyond Hyle Creative’s control, such as: fire, theft, computer failure, and Acts of God may result in a delay of delivery for an unpredictable length of time. Termination: The client has the right to terminate this Agreement if Hyle Creative fails to complete the Logo within 60 days of deposit submission. If agreement is terminated for any reason other than failure to deliver within 60 days, Hyle Creative shall retain the deposit. Performance Liability: Hyle Creative does not warrant that the functions supplied by logo design(s), consultation or advice, will be uninterrupted or error-free. The entire risk as to the quality and performance of the logo is with client. 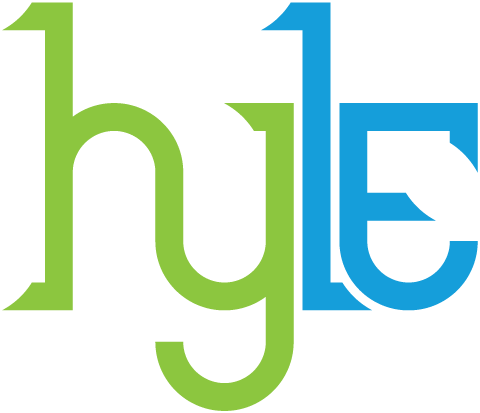 In no event will Hyle Creative be liable to the client or any third party for any damages, including any lost profits, lost savings or other incidental, consequential or special damages arising out of the reproduction of, or appearance of the logo, even if Hyle Creative has been advised of the possibility of such damages. Permissions: The client agrees to give access (usernames, passwords, and any other required permissions) to existing or future domain registration, hosting accounts, and affiliated service-providers as needed to accomplish the goals set forth in the written proposal. The client also authorizes Hyle Creative to publicize their completed Web site to Web search engines, as well as other Web directories and indexes, if this is included in the scope of the project. Proposal: For any website project, a proposal shall be provided to the client which outlines the general scope of the web design project. Additionally, the proposal shall include an estimate of the costs involved to complete the project. Additional work required to the project will incur additional costs. All prices specified in this contract will be honored for three (3) months after both parties agree to this contract. Continued services after that time will require a new agreement. Client Provisions: Client will provide all text to be used in web pages, unless otherwise negotiated. Client agrees to provide copy and any other submissions in a timely manner. Stock Photography: Hyle Creative don’t provide stock photos during the web design process. Clients should purchase photos by themselves. If the clients let Hyle Creative research and purchase images, each one will be charged at least $10 for services. Any photos acquired by Hyle Creative for inclusion in the client’s website remain the property of Hyle Creative and may be used in multiple, separate projects. Should the client require full ownership of the provided photography, these terms must be disclosed in writing. Web Browsers: Hyle Creative will verify the design and functionality of all websites on the following internet browsers: Internet Explorer 6 and 7, current versions of Firefox, and Safari. Should an update or up-version of any of these browsers results in the corruption of the website in part or in whole, the client understands that any revisions or corrections will be made at the client’s expense, billed at Hyle Creative’s current hourly rate. Completion Date: Hyle Creative agrees to complete website projects within a timeframe agreed upon with the client. Normally, each website should be presented in 3 weeks. Delays: Illness, injury, weather change or other events beyond Hyle Creative’s control, such as: fire, theft, computer failure, and Acts of God may result in a delay of delivery for unpredictable length of time. Payment: A 50% deposit is required before any work begins and the remaining payment when final logo design is approved but before it is delivered. Returned checks will results in a return-check fee of $30.00. The client understands that the final website design belongs to Hyle Creative until all invoices are paid in full. In the event of termination of this Agreement, Hyle Creative owns the website design and has the right to complete, exhibit, and/or sell the website design (not including business name). Once the final invoice is paid in full, the client has the right to use images of the website design in all media useful for business promotion and that Hyle Creative reserves the right to display the website for business promotional use. Delinquency: Hyle Creative reserves the right to remove web pages from viewing on the Internet until final payment is made. If case collection proves necessary, the client agrees to pay all fees incurred in that process. Performance Liability: Hyle Creative does not warrant that the functions supplied by web pages, consultation or advice, will be uninterrupted or error-free. The entire risk as to the quality and performance of the web pages and website is with client. In no event will Hyle Creative be liable to the client or any third party for any damages, including any lost profits, lost savings or other incidental, consequential or special damages arising out of the operation of or inability to operate these web pages or website, even if Hyle Creative has been advised of the possibility of such damages. Copyrights and Trademarks: The client represents to Hyle Creative and unconditionally guarantees that any elements of text, graphics, photos, designs, trademarks, or other artwork furnished to Hyle Creative for inclusion in web pages are owned by the client, or that the client has permission from the rightful owner to use each of these elements, and will hold harmless, protect, and defend Hyle Creative from any claim or suit arising from the use of such elements furnished by the client. By submitting a deposit payment, you consent to the terms of this design contract on behalf of yourself, and/or your organization or business. Print design includes but is not limited to flyers, brochures, posters, advertisements, newsletters, postcards and other marketing collateral for profit or non-profit purposes. Concepts: Within 7 business days of receiving your company information and deposit, Hyle Creative will create a design concept for each project. Designs will be submitted for review via email unless otherwise negotiated. A personalized proposal will be submitted to the client that includes details on how many revisions will be included for the estimated cost. Total project fees may be negotiated in lieu of an hourly rate. Further revisions will incur additional costs at Hyle Creative’s current hourly rate. Ownership: You, the client, have ownership of the final design for use in any media application that is beneficial to your business. Hyle Creative retains the right to use the final design, or any versions of the design created in the process, within printed and on-line portfolios, including promotional materials such as newsletters and advertisements. The client also gives Hyle Creative permission to use client’s full name, business address, and/or website address, for testimonial purposes on her website, or other business related media. The client understands that it is their responsibility to copyright the design and/or seek trademark status. Payment: In return for graphic design services, the client agrees to pay the total fee payable in two (2) payments. A 50% deposit is required before any work begins and 50% before delivering final design(s). The client understands that the final design belongs to Hyle Creative until paid in full. In the event of termination of this Agreement, Hyle Creative owns the logo and has the right to complete, exhibit, and/or sell the logo design (not including business name). Furthermore, Hyle Creative owns all the design concepts created before the final design. The client understands that once the final invoice is paid in full, the client has the right to use the logo design in all media useful for business promotion and that Hyle Creative reserves the right to display the logo for business promotional use. Originality: Hyle Creative affirms that all designs are original and therefore owns the rights granted under this agreement, and that the rights granted do not conflict with any other agreement. Stock Photography: Hyle Creative agrees to provide up to 5 stock photos during the web design process. Any photos acquired by Hyle Creative for inclusion in the client’s website remain the property of Hyle Creative and may be used in multiple, separate projects. Should the client require full ownership of the provided photography, these terms must be disclosed in writing. Delays: Illness, injury, weather change or other events beyond Hyle Creative’s control, such as: fire, theft, computer failure, and Acts of God may result in a delay of unpredictable length. Termination: The client has the right to terminate this Agreement if, Hyle Creative fails to complete the design by any deadline that has been submitted and agreed upon in writing. If agreement is terminated for any reason other than failure to deliver within agreed-upon timeframe, Hyle Creative shall retain the deposit. Performance Liability: Hyle Creative does not warrant that the functions supplied by design(s), consultation or advice, will be uninterrupted or error-free. The entire risk as to the quality and performance of the logo is with client. 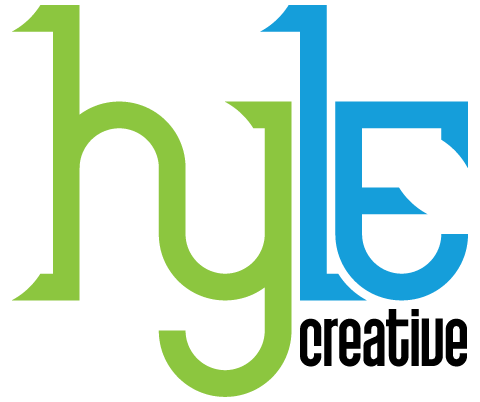 In no event will Hyle Creative be liable to the client or any third party for any damages, including any lost profits, lost savings or other incidental, consequential or special damages arising out of the printing, reproduction of, or appearance of the design, even if Hyle Creative has been advised of the possibility of such damages.